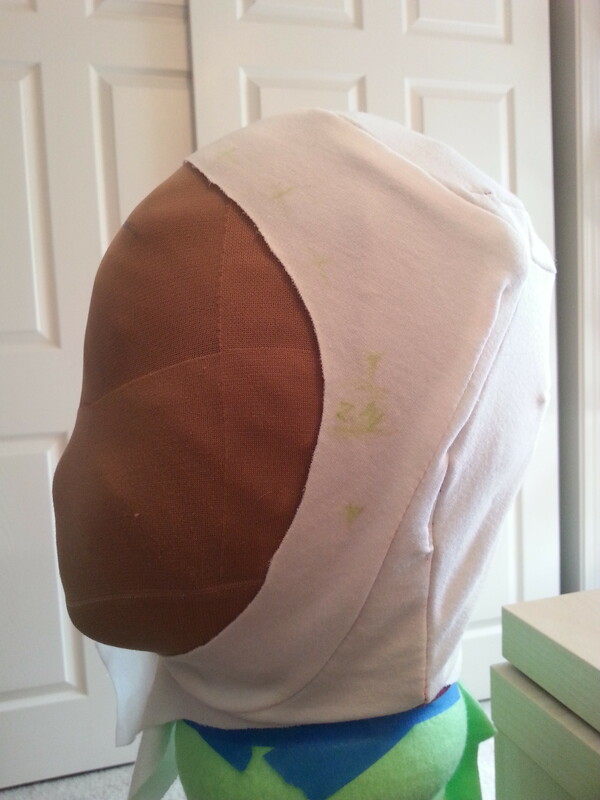 Here’s a rough guide to sewing spandex head pieces. You can use this for face covering cowls too, I just happened to be working on my Fionna hat when I documented this process. 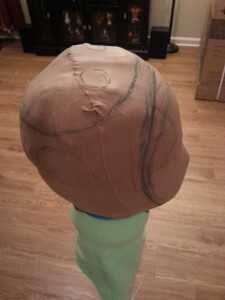 Start with something shaped and sized like your head, it doesn’t have to be exact. 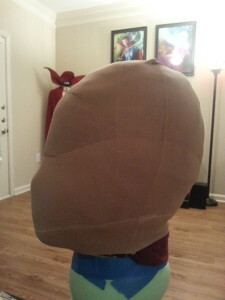 I pad out a wig head with scrap fabric and then cover it in one of my homemade wig caps (what I turn all my ruined stockings into). I find it helpful to then draw some rough guidelines on the wig cap cover. On this one I drew roughly where I was thinking of placing the ears, crown seam, and face opening. 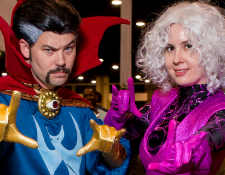 I also marked about where my eyes would be. Cover whatever form your using for your head in something to draw on. 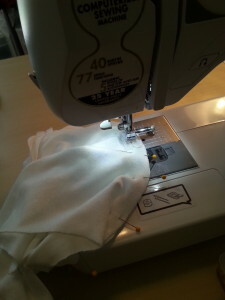 I was very much working with what I had around home at the moment and pulled out a shopping bag. 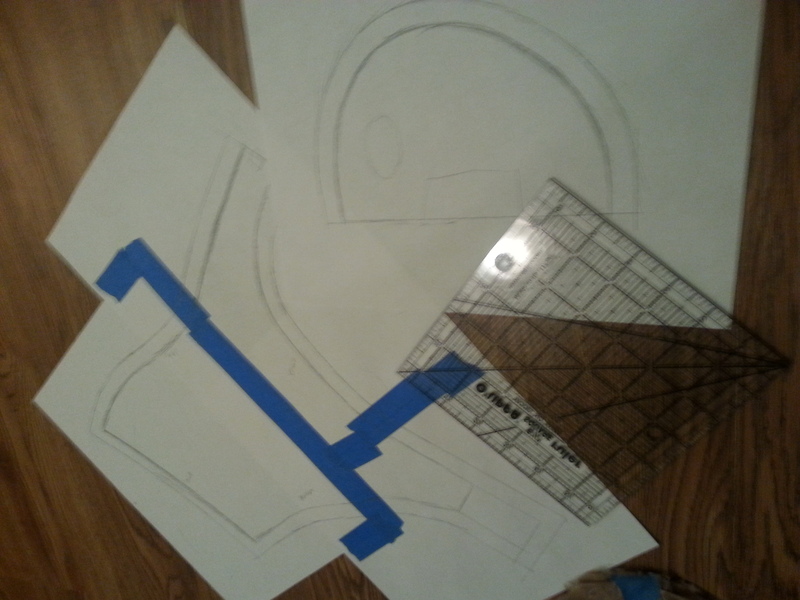 I taped and stapled it to fit more and drew my pieces out. 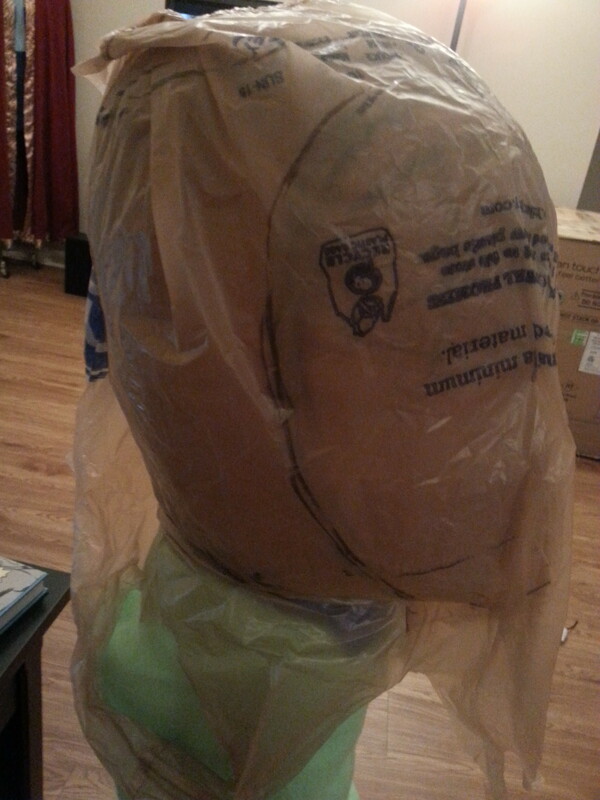 To get smoother pieces and a better fit you could try something else like covering the head in plastic wrap, then covering that in masking tape to draw on and hold the wrap together. Cut apart your pieces you’ve just worked on patterning and transfer them to paper. Again, working with what I had and taped multiple pieces of printer paper together. 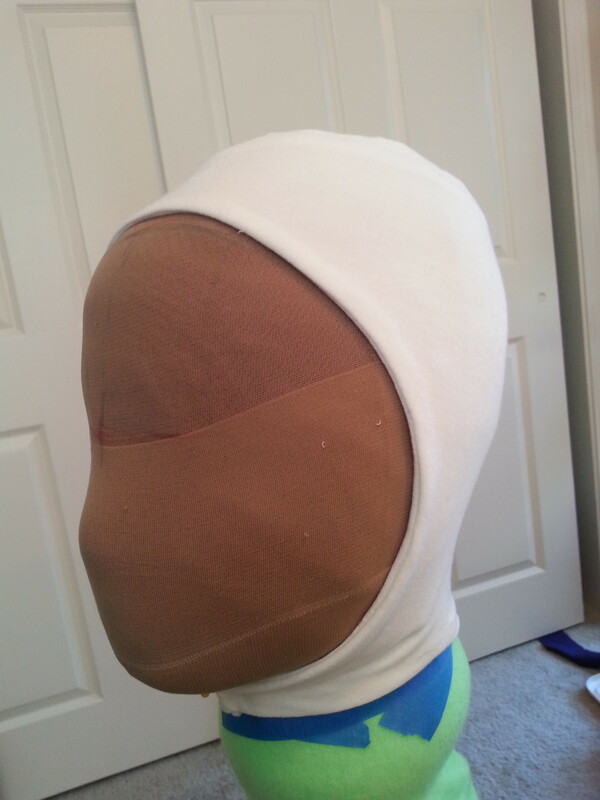 Add in your seam allowances and any other markings you made need, such as CUT ON FOLD. 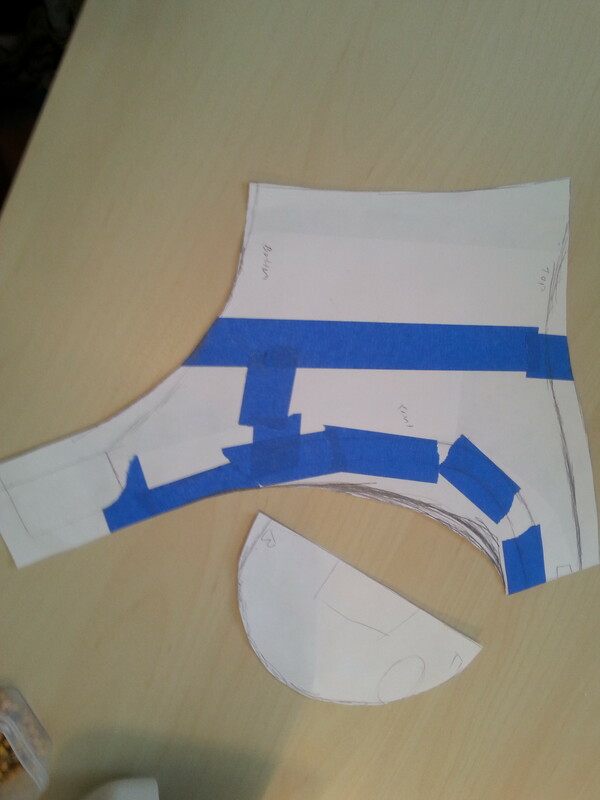 Cut out your paper pattern. 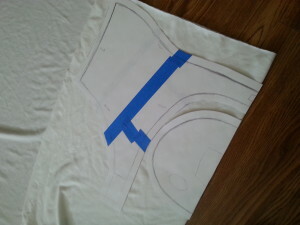 Then lay it out and cut it out of fabric with the same degree of stretch as your final fabric for a mockup. Sew together your mockup with large zigzag basting stitches. Zigzag stitches stretch whereas straight stitches do not. Take in, fit, and mark your mockup as needed. It’s okay for it to look a bit like a mess as long as it fits. 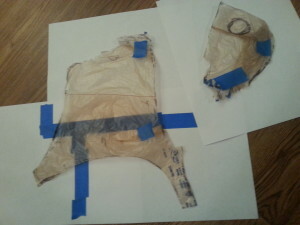 Take apart your mockup (the large basting stitches were to make this part easier) and compare it with your paper pattern. Make any adjustments needed. Use your finished pattern to cut and sew your headgear out of your actual fabric. This particular piece is lined for finishing. I also used snaps at the neck for closure. 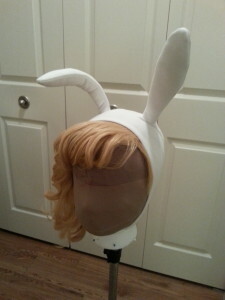 Here’s my finished hat with the ears attached (and over the wig)! I used lightweight jewelry wire to pose and keep the ears upright. This entry was posted on May 29, 2015 at 3:35 am. You can follow any responses to this entry through the RSS 2.0 feed. Both comments and pings are currently closed.